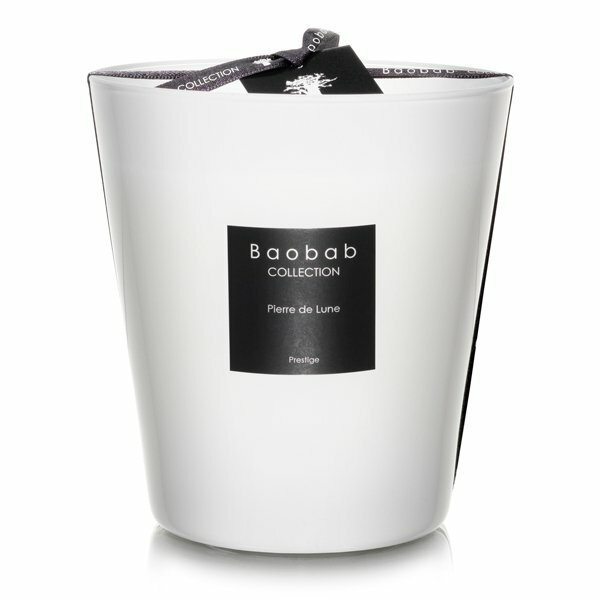 Baobab Pierre de Lune Max16 Candle is moonstone, known for its mesmerizing interaction with light. For centuries, many thought it showcased different phases of the lunar cycle. In India, the moonstone is seen as the “stone of dreams” bringing incredible visions to those who possess it. Through subtle associations of mint and verbena, Pierre de Lune’s floral scent is a portal into a peaceful and dreamlike world.